Have you ever met a stranger that strangely can comfort you in times of need? This drama is like that kind of stranger for me. It’s so unfamiliar and so bizarre, but it felt so comforting and pleasing. Watching this drama is like taking a short healing trip to nearby city: engrossing and relaxing. Background of the drama is set around a private institute for people preparing for their civil service examinations in Noryangjin, Seoul, South Korea. 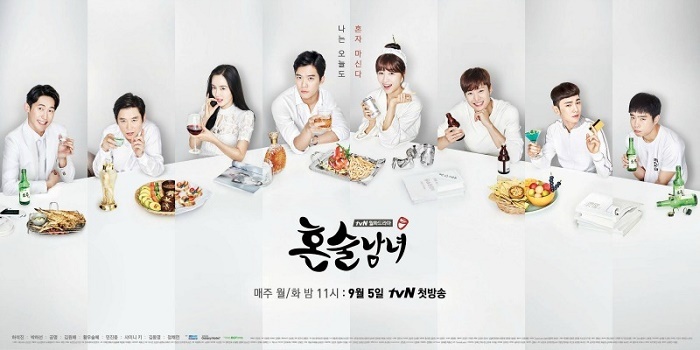 Story depicts people drinking alcohol alone for different reasons and the romance between Jin Jung-Suk (Ha Seok Jin) and Park Ha Na (Park Ha Sun). Jung-Suk is an arrogant, but popular instructor and Ha Na is a rookie instructor. Drinking Solo maybe looks like another quirky, funny, light romantic comedy series from tvN. That’s right. It is really another quirky, funny, and light romantic comedy show from tvN. But, it also carries heavy and warm messages. 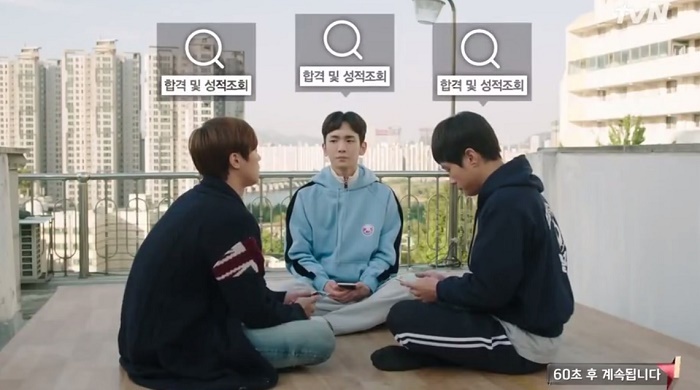 Drinking Solo is not merely about a bunch of people who loves to drink alone, it’s about dreams, friendship, relationships between boyfriend-girlfriend, siblings, and colleagues. It’s about how ones should not give up on their dream of becoming somebody in spite of hardships and weaknesses. It’s about how ones should give up on love to maintain friendship. It’s about how ones can find comfort in someone they never expected before. 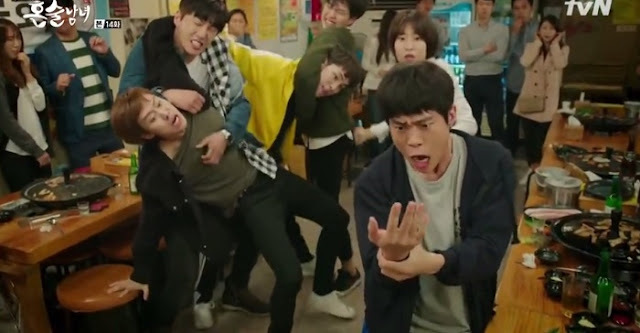 Drinking Solo is a healing drama for me. Watching this made me realize that I have to be more grateful in life. It made me realize that everyone had their own ups and downs moments. It made me realize that we can find family, even in the most unexpected places. Every character in this drama has flaws, shortcomings, and insecurities. That’s what makes the characters so endearing and relatable. They may look perfect and have a wonderful life, but there are more than meets the eye. 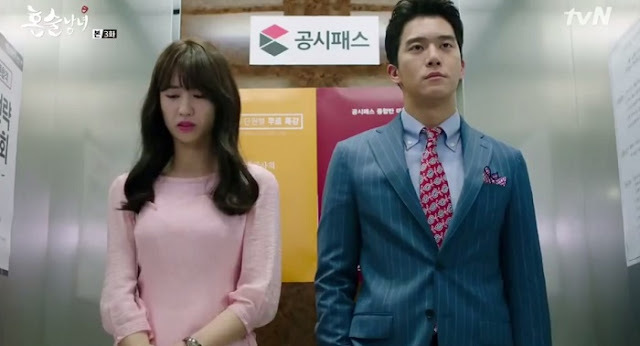 Take the drama’s two leads for example: Jin Jung Suk and Park Ha Na. In spite of his “high quality” exterior, Jin Jung Suk is a timid human being who often finds it hard to socialize with other and prefer to drink and spend his quality time alone. He also has insecurity about his educational background, even though he actually has nothing to worry about. 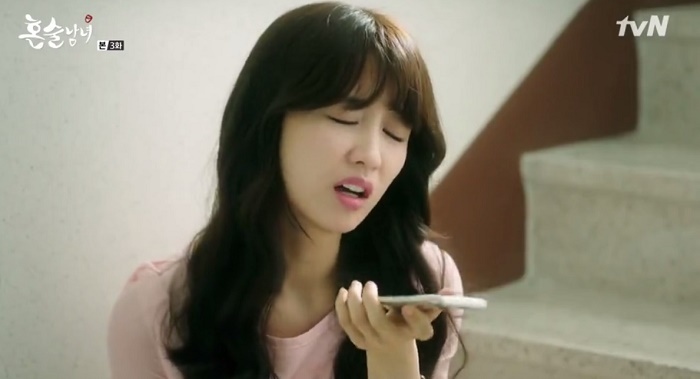 Park Ha Na, on the other hand, is the polar opposite of Jung Suk. She is an outgoing individual and socialized person. But her educational background often makes her feel low among her colleagues. She has a habit of talking to virtual assistant in her phone. Other characters also have their own flaws. Like Hwang Jin Yi (Hwang Woo Seul Hye) who – despite her perfect figure and face – dying to get married and Min Jin Woong (Mi Jin Woong), a divorcee who spent his night treating his sick mother in a hospital. Strangely, I can relate to almost every character. I find myself in each of the character’s imperfect personality. This is probably what made me fall deep in love with Drinking Solo. Because I can see every character as not merely a “character” but a person who also experience the good times and bad times of life like ordinary people do. I love them! I really love them to the point that I imagine what my life would be if I was born as a boy. Would I have such tremendous friendship like these guys are, would I be able to taste what men undergo when they’re heartbroken, and many more. To be honest, I never like Key before. I hate him, actually. When I see him in SHINee, I find him so all over the place and cocky. Oddly, I find him really likeable as Ki Bum. As Ki Bum, he still has that “cocky” vibe, but he is so pitiful, it makes me want to pat him and said everything is going to be all right. As for Dong Young (Kim Dong Young), I sometimes feel sorry for him, but on other time, he can be annoying. But out of the three, he probably the one who struggle the most, in terms of love and education. Gong Myung (Gong Myung) is the most “flat” out of the three. He is the type of handsome fool who puts love above everything. He has his own charms, but from what I see, he lacks personality compared to Ki Bum and Dong Young. My favorite scene of this three is a slow-motion fight in restaurant in episode 14. This video always succeeds in lighting up my mood whenever I feel down. Their expression is so priceless. And the music is so funny. Praise the scriptwriter who came up with Min Jin Woong character. Without the existence of Min Jin Woong, the atmosphere of Noryangjin academy’s teacher room will be so dull. 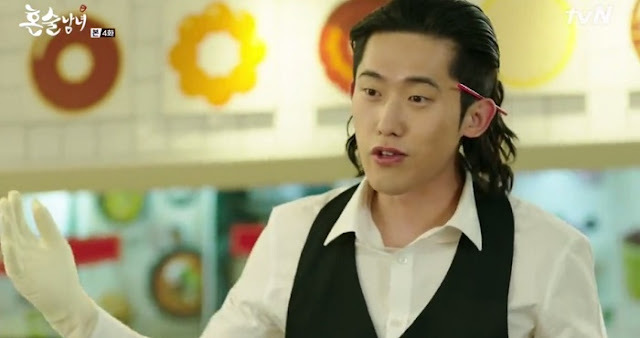 Min Jin Woong is public administration teacher who likes to impersonate popular character from movies when he teaches. My favorite impersonation is in episode 14 when Min Jin Woong impersonates the all-time favorite prince, Lee Young from “Moonlight Drawn by Clouds.” Funnily, Ha Na and Jin Yi also help him in impersonating one of the scenes in the drama. Their chemistry is so amazing! The OSTs of this drama filled with Indie musician, which is a plus for me – a sucker for K-Indie. My favorite song is Jannabi’s and OKDAL’s. I have no complaints about the ending of the drama, except how the production team treated Jin Jung Suk and Park Ha Na’s relationship. It is as if they did not care about these two’s love life and decided to fold it abruptly. What is wrong with giving the chance to let these two together in the last scene? Seriously, it’s not that hard.